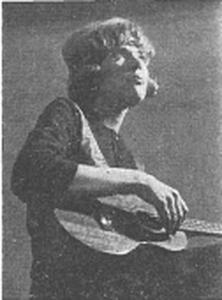 John Uren, the man who hired a young Joni Anderson for one of the earliest regularly-paying gigs of her musical career, began our conversation with this disclaimer: "One has to realize that luck and timing play a huge role in everything. I'd like to think I was clever and could see it all happening, but in truth that's not the case." Luck and timing may have been a factor, but throughout our conversation I discovered that John was integral in guiding and shaping that good fortune into a highly successful and now historically significant coffeehouse that spawned one of the great musical careers of our time. It was 1963 and John Uren, recently married, was working at the race track in Toronto. Deciding his job at the track didn't mix very well with his marriage, he moved on and successfully pitched prominent Canadian industrialist E. P. Taylor with the idea of starting a horse magazine, called The Canadian Horse. A year later, he started another - a harness magazine called The Sulky. While his wife was hanging around the local coffeehouses with the likes of Ian and Sylvia, Ed Cowan, and Ted Schaefer - artistic director of first Mariposa Folk Festival - John was up early each day on the horse farms and the in bed early each night. "My wife wondered what had happened to the free spirit she married and we eventually split." Deciding to get out of Toronto, John agreed to help drive two cars to Vancouver. He got as far as Calgary and, because the annual Calgary Stampede was about to start, decided to stay there. Perhaps in an attempt to find that free spirit again, he immediately began looking for a coffeehouse. He didn't find one so he decided to start one of his own. The Foggy Manor Jazz Club had just gone bankrupt and left what he felt was a perfect basement location complete with tables, chairs, espresso machines, and a thousand books. John made a deal to lease the building and got to work. "I got lucky because I found a ready-made operation and had an instant club. But I was in the middle of nowhere and wondered how I would ever find any talent. So I hitchhiked back to Toronto and went to the Bohemian Embassy, which was probably the most authentic coffeehouse in Toronto at the time. It wasn't the most successful - the Purple Onion and the Riverboat were more so - but it was quite good. 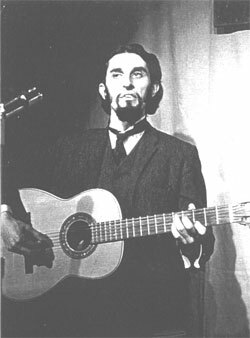 I talked to an English folksinger named Peter Elbling and said, 'I'm opening a club,' and he said, 'I'll be there.' He hitchhiked from Toronto to Calgary and, like most Brits, didn't have any idea how far it was across the country. But he arrived a few days ahead of the Friday, September 13th, 1963 opening day." Despite the ready-made club setting, getting the Depression ready for opening day was hard work. Peter and John spent many hours painting, sweeping, and cleaning. It was during this period that a woman named Joan Anderson strolled in. "She showed up by herself one day after school and just walked right in. She obviously heard that there was a club opening and took the initiative to come down. She auditioned for us right there and then, playing a ukulele - not a guitar. She had such an amazing voice, was strikingly beautiful, personable, and very charming. She sounded like Joan Baez to me. 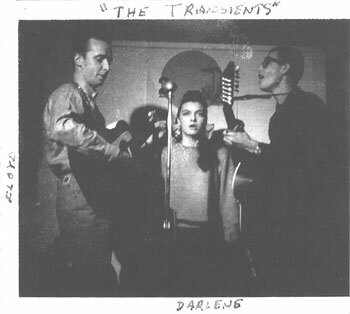 I knew about Baez, the Kingston Trio, the Brothers Four and Dylan I'd heard of - but I was really pretty square. Peter looked at me and said, 'she can sing!' I hired her on the spot and put her name on my opening day hand bill along with Peter." John's concern about finding talent to perform at the club was beginning to subside. "I found out very quickly that there was an incredible supply of talent. Performers would travel the circuit from Toronto to Vancouver as there were coffeehouses in Winnipeg, Regina, and Edmonton. Word quickly got out about my new coffeehouse in Calgary." 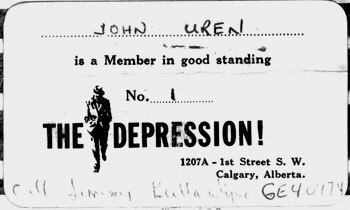 JM.com: According to an early article from the Calgary Herald, over 2,000 people joined The Depression in the first month, is that correct? John: Oh yeah, you couldn't get into the joint. First of all, you had to pay a buck to become a member to even get in. JM.com: Why did you require a membership? John: It was just to give it some cache. That made it seem exclusive. There was really nothing more than that - it was just a way of tracking people and giving them some ID. During the week we didn't charge. Tuesday was chess night, Wednesday was auditions, and Thursday was poetry night. On Friday and Saturday we'd have a featured act and there'd be an admission. To get in you had to have a card. So the first time you came, it'd cost you $3 - $1 for the membership and $2 to get in if I recall correctly. Sunday night was the hootenanny - basically a group sing. As I say, mine was the first - and for the longest time the only - coffeehouse in Calgary. The folk movement had just taken over North America and like with most things, in Canada we're a year or two behind the States. But I'd seen it in Toronto, there had to be a dozen coffeehouses there. The Riverboat was one, the Avenue Row Club, the Purple Onion, the Bohemian Embassy, and the 5th Peg. The latter was partly owned by Ed Cowan, a good friend of mine who at the time was managing Ian and Sylvia. 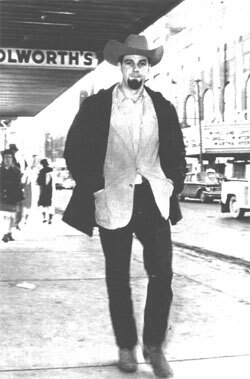 When I hitchhiked home that summer to find a folksinger I said to Ed, 'I'm going to open a club.' And he laughed because he knew I was pretty square. His advice was 'grow a beard, give it a funny name, and serve an exotic drink,' which is exactly what I did. I called it The Depression for two reasons. First, the club was in the basement and secondly because the actual depression had had a tremendous impact on the prairies just as it did in the States. Not only was it an economic depression, it was an agriculture depression. The dustbowls of the U.S. west were parallel to the dustbowls in our west. So there was some resonance to it to the people. In fact, I had some people coming in saying, 'How do you have the nerve to call your club The Depression? Do you know how hard it was?' And of course I didn't because I was too young, but other people came in and told tales how they survived the depression, how they'd lived in rooming houses with counts and bankers and whomever. So the whole experience was quite stimulating. JM.com: How were the music evenings structured? Did a number of musicians play nightly? John: Normally there'd be two acts. I acted as my own emcee. And every now and then a friend of somebody who would want to get up. The evening would start at 9 o'clock, there'd be an opening act and then there'd be the feature act that would proceed to do three sets. We'd go 'til 1 o'clock on Friday and Saturday. On Wednesday night there were open auditions and we might see 10 or 15 acts. That was the most fun just because there was such a parade of talent. 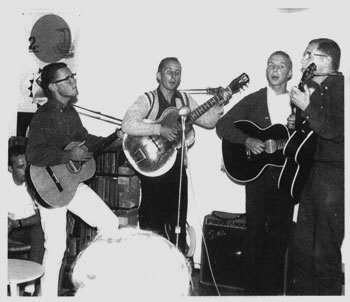 A group would like to look like the Brothers Four or the Kingston Trio and then somebody would try to be Joan Baez and there's somebody trying to be Dylan. It was really quite interesting. How many people were trying and how many people never got to make a nickel out of their love for folk music made you realize how fragile the whole thing was. Most of them I never hired. The Depression was a very popular place. And because we were in Calgary - the heart of the Bible belt - by law I wasn't allowed to charge admission on Sunday. So what I did was to begin the evening with a little religious introduction - taking off Oral Roberts who was big at the time. I'd bring up a folksinger, he'd be on his knees, and I'd say, 'Heal, brother! Heal!' He'd get up, throw away the crutches, people would laugh. And then we'd take up a collection. I actually made more money taking up a collection than if I had charged admission. 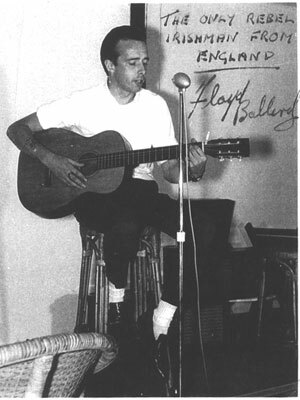 And of course then the folksingers got into it, and one night we had a guy named Billy Roberts from North Carolina who played a 12-string guitar. We rigged some gun powder, there was a puff of smoke, and he threw away the crutches and the crowd cheered. So it was fun. It was all so innocent. It was not slick, it was not clever, it was just fun. JM.com: What was the age group of the members of the club? Brad wrote poetry. So he handled poetry night. In the early '60s Calgary was a very American town. Oil was discovered there in '48 and it was the Americans who came up and developed the oil fields in Alberta. The only good entertainment in Calgary at the time was in a club called The Petroleum that you had to be rich to be a member of. I got a lot of people looking for entertainment and on Thursday nights a surprising number of American oil men came that had written poetry. They'd stand up there in their $200 boots and their big Stetsons and read poetry. I remember one of the problems with the club was that the chairs were made of wicker and the women were always ripping their nylons on them. Every night there'd be three or four women who'd come up to the counter and complain. So as the women came in I'd have them put their name in a hat and at the end of the evening we'd have a drawing and give away a free pair of nylons. Solved that problem! JM.com: Your first memory of Joni, then, was when she actually came in to audition for you? Do you remember what she played for her audition? John: No, I have no idea. One of the things that you learn very quickly with the singers was that everybody wanted to sing their own stuff. I mean right off the bat. And when I hired people I told them I wanted them to do the stuff that people knew about - Joan Baez and Dylan. 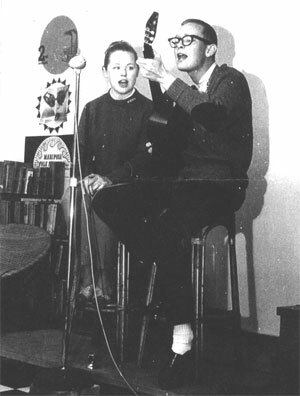 But they didn't want to do covers of other people's music; they wanted to sing their own stuff. It's just that people expected to hear the popular stuff. Every artist has to live with that. You see these artists that have been performing for 30 years; they still get asked to do their hit singles from 25 years ago. And they hate it but they understand that's what pays the freight. 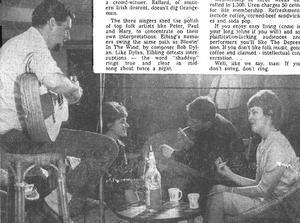 JM.com: What was Joni's repertoire back then? Was she doing any original songs? John: At no time did I hear her say 'I've written this song.' But whether she had or not, it was not a part of the equation at that time. The one song I do remember she loved to sing was 'When Johnny Comes Marching Home Again.' I distinctly remember her singing 'Harooh, harooh' rather than the more traditional 'Hurrah, hurrah' on the chorus. It was a plaintive cry, it was an anti-war thing. The protest that began in the suburbs evolved into the anti-war movement. And so it was easy to pick up the songs that expressed an anti-war sentiment, which is what she liked to do. Other anti-war songs of the time were things such as Two Brothers, St. Claire's Defeat, and The Cruel War Is Raging. JM.com: Would you call Joni a polished performer back then? John: Well, how would I know? Like I said, I was pretty square. All I know is that when she got on the stage people shut up. They listened to her because she had such a remarkable voice. Playing the ukulele was not a powerful instrument to work with, but she made it work. But to say she was polished, I don't know. JM.com: Was Joni the type that would just perform and then leave or did she stick around the club? John: She'd hang around the club quite a bit. JM.com: Did she come in even on nights that she didn't perform? John: Yeah, she did. It was a fun place to be. 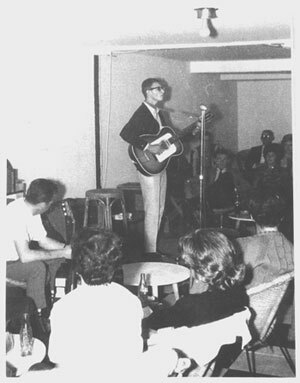 Wednesday nights were always fun because all these people would show up that were going from Toronto to Vancouver and they'd be auditioning and somebody like David Wiffen would show up. 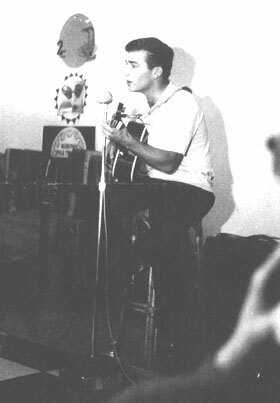 He was a great talent out of Ottawa and was a member of a group called Three's a Crowd that did pretty well across Canada in the early '60s. When he played the other performers just were in awe. The problem was the drink got to him so you'd lose him for a while and then he'd show up again. And that was really the pattern of his life was to hit the bottle and disappear. But he was a brilliant artist. So it was sad. But yes, Joni and all the rest hung around because it was like a club. JM.com: Tapes of Joni performing a few years after the Depression exist. On these she's very chatty with the audience between the songs. Do you remember her engaging the audience as such back at the Depression? John: Oh, yeah. She was a sweetheart. People adored her. She had a great smile. On Sunday night when she was part of the hootenanny thing she got into it pretty good. And she would joke. I wouldn't say she had a smart mouth but if somebody said something from the audience she'd respond. I can assure you that she was not intimidated on the stage at all. 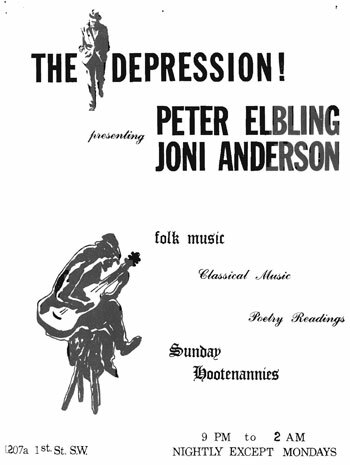 JM.com: One account I've read called the gig at The Depression Joni's first paying gig, and another said that the musicians all played there for free. What's the truth? John: If I recall correctly, Joni was getting $15 a weekend to sing. Peter Elbling was my house act and to do that I paid him $35 a week. I gave him a room to sleep in and he had to play whenever I said play. He was usually the warm-up act on Friday and Saturday night and a part of the Hootenanny on Sunday night. He was getting $35 a week so to put it into perspective $15 was pretty good at the time. JM.com: Joni played there for three and a half months, every weekend? John: No, not every weekend. In the beginning she was there all the time. But there was nothing but talent coming through at the time. I brought in Dave Broadfoot, who was a very popular comedian. I brought in The Travelers, who were a big folk group - probably the biggest folk group we ever had. Sometimes Peter would open for them - sometimes Joni would open for them. In the beginning Joni was there all the time because it was the beginning. But as it became a little more structured and there was more talent she played less. All those folksingers had massive egos. They'd come down to the hootenanny and want to play. JM.com: And Joni? She had a massive ego as well? John: Well, artists all do. You don't survive in the business unless you have an ego. I mean she had a very strong opinion about what she was about. But she never came to me and said, 'John, I want more money' or anything. I mean everybody was happy just to be playing and doing whatever it was. 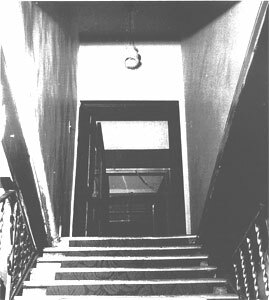 JM.com: At that time, late '63, early '64, Joni was actually attending the College of Art. Did she seem to you more serious about her music or about her art at that point? John: I think it was a dichotomy for her. I think the art was a huge part of her life and obviously she was motivated to go to school. The thing about performing is that you're dealing with live people, and when you get a warm response it becomes addictive. Her art was solitary, her music was communal. So I think from the very beginning it was difficult for her. Joni didn't miss classes or anything, and she showed up at the club when she was supposed to. So she really had a parallel career. 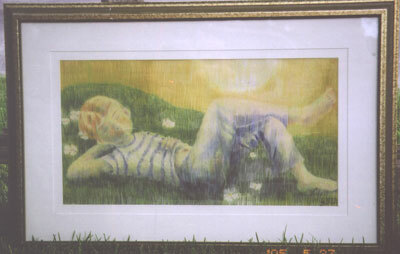 JM.com: Did you remember Joni ever sitting around the club and doing drawings or sketches? John: No, I don't remember that happening. The atmosphere wasn't conducive to that. First of all it was dark and smoky, as smoking was permitted at the time. No, she'd simply show up with her ukulele in a little case, go to the room, get ready, then come out and perform. After she was done, she'd sit around with her roommate Lorraine and talk to the other people. JM.com: Research tells us that Joni may have played a few other places around Calgary as well. Do you remember the names of those places? The Fourth Dimension perhaps? John: Well, there was only one other place and it was not the Fourth Dimension. There was a Fourth Dimension in Regina and one in Winnipeg as well owned by a guy named Gene Chuka. 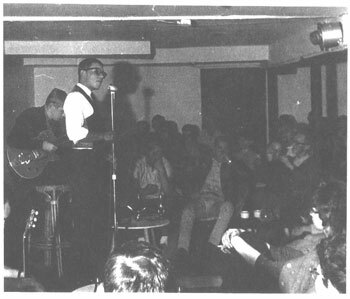 Folksingers tried to get into the circuit which was the Fourth Dimension, the two places in Calgary, the Yardbird Suite in Edmonton, and The Inquisition and a couple of other clubs in Vancouver. In Calgary I'd been open about three months or four months when someone else decided to open a club. The name escapes me. A young girl owned it and I remember it was not in a great location. I don't think it ever amounted to much. But I can remember telling the people who worked for me - and, again, this is what you did in those days - that if they sang there, I would not allow them to sing at the Depression anymore. So there was a reluctance on some people's part to participate at the other venue. JM.com: Did you have any sense at all back then that Joni was something special? John: No. First of all, there weren't that many female folksingers and to be honest I wasn't hip enough to know. I knew she could sing and I knew that people were mesmerized by her voice. She had a clarity in her voice that was unbelievable. But I didn't think in terms of where this was going. I was worried about what I was going to book for next weekend and what ads I was going to run, so I didn't think in long-term impact. If anything I was just living my life day to day and having some fun. Joni became popular at the Depression very quickly. She was clearly an attraction from the beginning. There was no doubt about that. This article has been viewed 13,745 times since being added on August 29, 2005.